Exploring Switzerland has never been so easy! 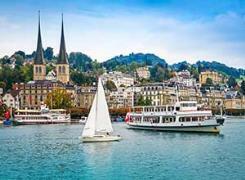 The Swiss Travel Pass is your all-in-one ticket to travel by rail, road, and waterway throughout the whole of Switzerland. And it includes many bonus benefits. Enjoy total travel freedom - with just a single ticket. 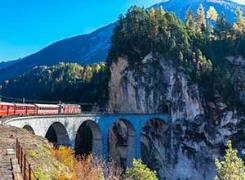 A seat reservation and/or supplement is required to travel on some trains/buses/boats such as Glacier Express, Bernina Express, Gotthard Panorama Express, Palm Express, etc. See where you can travel with this pass on the Swiss Network Map here. Note1: Includes Free ride for summiteers: Onto Pilatus with Swiss Travel Pass. The Swiss Travel Pass is all-in-one ticket taking you away up to the truly exceptional excursion mountain Pilatus. The Aerial Panorama Gondola from Kriens to Fräkmüntegg, the aerial cableway «Dragon Ride» and the world’s steepest cogwheel railway can now be experienced with the Swiss Travel Pass and delight you with unforgettable mountain moments at up to 2'132 meters above sea level. Note2: Schilthorn - Piz Gloria. Holders of a Swiss Travel Pass or a Swiss Travel Pass Flex (on validated travel days) travel free of charge to Schilthorn - Piz Gloria. Download our Pilatus Factsheet here.